Our Story at Paradise Holidays by Ratheesh R. Nath, Chairman. Journey of every successful company will always have a story to talk about and we too have a nice story. Though I wanted to become an entrepreneur, I never had the plan to start a tourism company. It was in 2008 when I was working with Ramaiah college Bangalore as Lecturer, one of my friend Mr. N.L.N. Murthy asked me about Kerala and told me that his friend wanted to go for his honeymoon to Kerala. I literally had no idea about any of the tourist places in Kerala though heard about it. I told him that I have a taxi car at home and shall give you on rent. The driver will take you for sightseeing and will help you to book hotels. You pay me only for the vehicle. I googled, researched, got the quote from hotels at Munnar, Thekkady, Houseboat and finally prepared a package which meets his expectations. I named the company as Paradise Holidays as suggested by my friend Mr. Fasil. 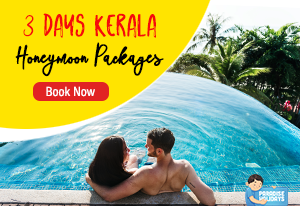 It was a 5 days package, which we still use as 5MTH where the guest stays for 2 night at Munnar, 1 night at Thekkady and Overnight stay at Houseboat. While preparing Itinerary, I tried to prepare it in a professional way. I sent this quote to my entire friends list in the mailbox, those are days we relied only on emails and social media era has not started too. Some of them forwarded it to their friends, some deleted. Before I could finalize the deal of Murthy’s friend, I got an email from Mr. Srihari Belur which was forwarded by my friend Mr. Ajith K.P. and I called him. I met with him, explained about the package and convinced him. I got my first advance of Rs. 2000/- over a cup of tea at a restaurant in Bangalore. Later Murthy’s friend also booked the same package and we continued one by one. 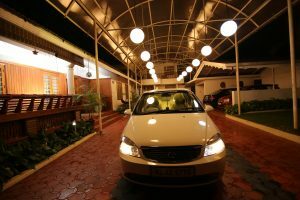 My father Mr. M. A. Raveendranathan has taken care of guests when they reach Kerala and his contribution was inevitable to build up the brand. He used to meet every guest, explain every detail and made them comfortable like home which is our success mantra. From the beginning, we tried to follow ethics and professionalism. We used to be and continue to be transparent and ethical in dealing with the guest, with the hotels and with the taxi people. We still meet every guest before starting the tour and have a dedicated Customer Relationship Centre (CRC). Meanwhile, I got a job at TATA Technologies, Pune and was deputed to TATA Motors for projects. Moving from teaching to IT gave me a lot of free time (I have been hearing that IT job takes your entire time and you do not get time to spend even with family, but the culture was so good at TATA and always ask us to leave on time, teaching requires lot of homework if you want to teach properly) that too at Pune without any friends where Bangalore was like my hometown. I slowly started to concentrate more on business and used my complete time after job to bring this up. I was always behind my dream and took every setback positively, yes we have a lot of examples for this. 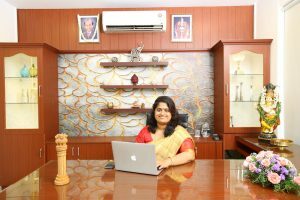 I started working from home and my home became our first office in Pune. As my father was taking care of everything in Kerala, I was able to concentrate only on business development and slowly we started to learn. For both of us, this was a new field and had to learn everything by own. Slowly we started to grow. 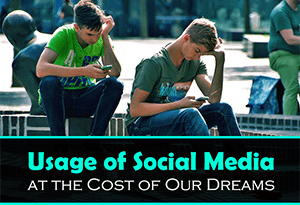 I wanted to quit my job and wanted to be an entrepreneur but as usual, my family was totally against it. I know you are doing well in business and you will do it, but don’t quit the job until I tell you. This was my father’s words. In Kerala getting a marriage proposal from a good family with good qualification is impossible if you are businessmen irrespective of how you perform & was very easy for a TATA staff. I got engaged with TATA tag in 2010 and marriage was fixed for 2011 mid (big gap of 1.5 years) as we wanted her to finish MTech. before marriage. Enjoying life with would-be, I tried to give lights about business and every time she refuses and wanted to go only for teaching. We were doing well at business and all of a sudden I lost my father in 2011 February 7. I was in Kerala at that time for a short holiday. I had two choices either continue job or come back to business. If I continue at Pune I had to wind this up as without a strong hand in Kerala, I can’t do anything sitting at a different place. All my staff, drivers, I had to literally do injustice to them. Meanwhile, I met with my father-in-law and asked for his advice, he also told me to come back and continue with business. I felt that day came and my father asked me to come back, I never went back to Pune. Lot of responsibilities, everything in the middle I felt blind, my mother gave me full strength and stood behind me and said – You have to take charge of everything father has started, I still remember those words, again put same hard work and prayers. At the time of marriage, Sreedevi was working as Asst. 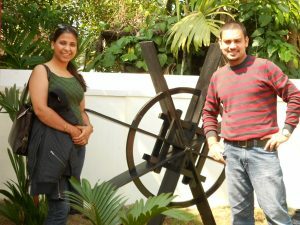 Professor with an engineering college and after few months she decided to quit her job to stand beside me in business as well. It was a relief to me as she was a quick learner and was well adapted to take responsibilities one by one. We started to dream together in business as well in life, for us, Paradise is the first baby and used to have our talks, chit chats in and around Paradise itself. She started meeting every guest on arrival and started to handle our operations team, which helped me to concentrate on business development. By 2013 she and her team moved to an independent office – we called it CRC (Customer Relationship Centre), which was a new concept in tourism where we receive every guest on arrival, meet them, explain the entire itinerary with lots of hands on tips. 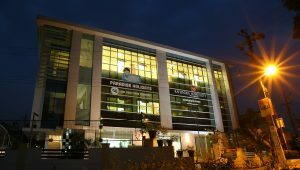 Currently, we have our corporate office in own building of 5000 sq. feet and another three offices where one is at Cochin, Pune, and Hyderabad. The corporate office is 100% solar powered again adds to the energy saving. During the course of growth, we wanted to keep society with us and were always willing to extend our helping hand to the needy, but in an unorganized way. To make it organized, in the year 2015 we formed a trust under name Raveendra Foundation, where every staff at Paradise is a member of the trust with an elected governing body. Currently, we have contributed enormously to the education of poor children, helping hand for medical treatments, school kits, school bags, umbrella etc. to Govt. schools. Very recently, we have donated a smart class to a Govt. school and donated an ambulance to the village where our corporate office is located. Meanwhile, we have started homestay to provide an authentic experience for our guest where we have 6 A/C rooms and MAD Rooms where we concentrate on budget packages. Our Learning center caters to staff training on life skills where we are providing training to hospitals and corporates. Our travel desk takes care of vehicle booking for marriages and excursions with own fleet of vehicles including a luxury bus. Including hired vehicle, we now manage more than 200 vehicles. 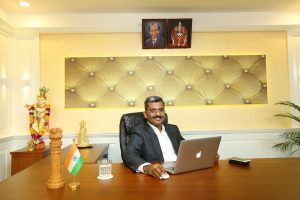 Currently, I am the Chairman of Raveendra Hospitality Private Limited, Patron for Raveendra Foundation, Managing Director for Paradise Holidays & Paradise Homestay, Director for MAD Rooms Pvt. 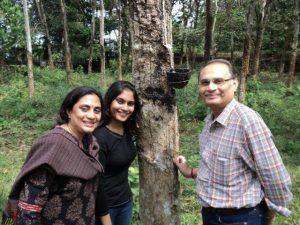 Limited, Board Member at Mookambika Technical Campus, conducting Life skill Training and is a CBT consultant. I bow myself towards my father Late Mr. M. A. Raveendranathan without him I would not have built this brand, Vice Chancellor at M. S. Ramaiah University of Applied Sciences Bangalore Dr. S. R. Shankapal who has been my mentor, my inspiration and a lot that words can’t convey. 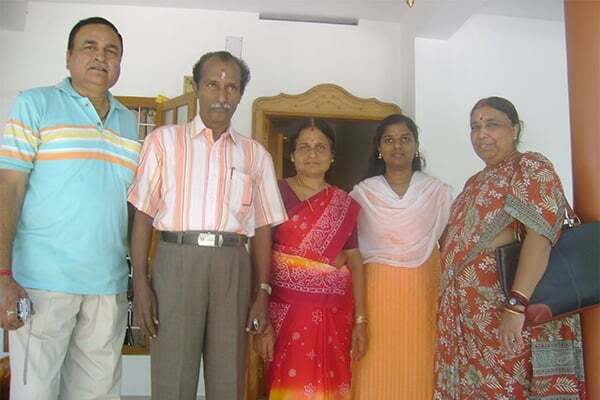 My uncle S. S. Pillai where I used to see an ideal businessman from childhood and my brother in law Dr. Sudeesh Kumar who supported me during my difficult times and gave the courage to come back from Pune. The story continues with a lot of happy guests. We thank all our well wishers! Hi !!! I am from Pune. I am very much impressed by reading about your entry in tourist industry and ur journey so far in this field. 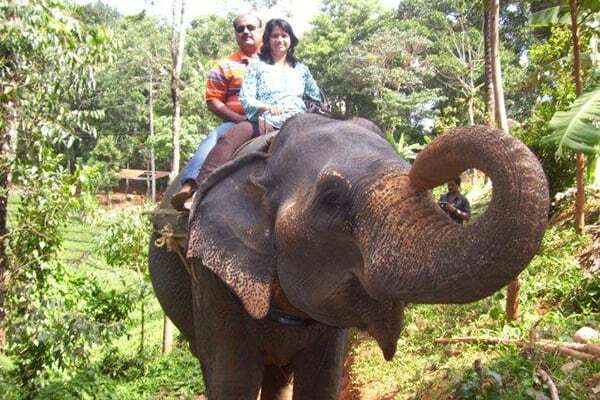 Actually there are so many companies offering Kerala Tour Packages and i was bit confused about selecting the proper agency. This article of yours made my task quite easy. 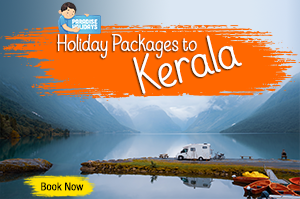 I booked 6 D 5 N Kerala tour for my family in second week of May 13 with Paradise Holidays only after reading your article in this blog. 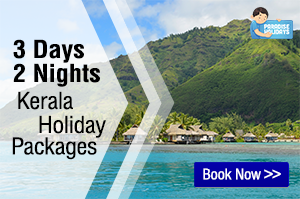 I look forward to experience wonderful holidays for my family with Paradise Holidays. Hi my name is Ekta. Mr. Ratheesh R.Nath ur entry in tourism industry was full of challanges but still u have done it inspite of being an iitian which is amazing. I as a managing director of a travel agency based in Delhi & Uttrakhand wishes u for ur success in every step of life. I am very much impressed on reading this blog. I am mentally prepared to visit kerala in this December’13. It is very interesting to know that from entrepreneur to tour operator. Looking forward to see you when you visit Kerala! Excellent! Hard work and perseverance pays back. God bless you dear. Thank you Mr.Shijo for your encouraging words. I am moved by your journey and pay my respects to your father. Ethics & professionalism go hand in hand and believe me you will reach great heights. Hats off to your CSR activities. 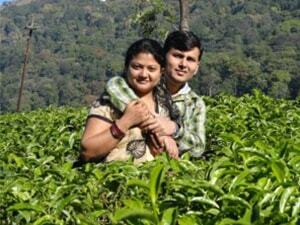 I have been co-ordinating with Vandana – your tour executive for my forthcoming family vacation to Kerala in May’14 and I was happy to receive a mail from you too. Even before taking the tour, I am sure I will get the best from a professional & dedicated team like yours. 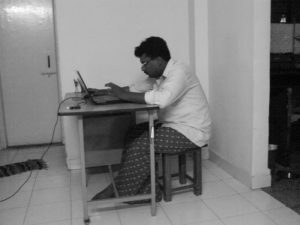 Keep it up Ratheesh – God bless you. Would be happy to meet you in Cochin on 1 May’14 when i will be there at your office. Thank you Mr. Ravi. 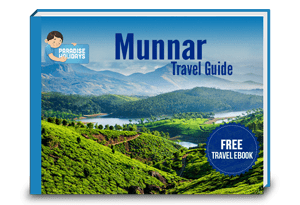 Looking forward to see you and guide your Kerala tour. We just completed the 1st tour with Paradise Kerala, and I am very happy to share that we had a wonderful experience. The service was very good and the stay in Birds Valley was pleasant. I really appreciate the transparent pricing policy and the proactive approach of the customer service department. Thanks a lot for making it happen and help us have a hassle free vacation. It is moral booster.your key to success is better hospitality. I also want the franchisee of your paradise holidays. I called Mr.Martin for this.Hope for next meeting.. Very nice to read your inspirational journey! 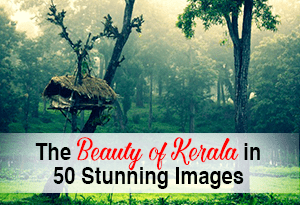 I have always wanted to visit Kerala, and with you being there now, It’s a no-brainer…perhaps in next India visit. A meeting with you will be a bonus. Thank you Mr. Nishant. Looking forward to seeing you. Appreciate your hardwork and the excellence you have gained in travel and tourism. We spent our honeymoon holidays with you and hereby take this opportunity to thank you for the outstanding hospitality and memories provided. We did our thorough research with all the tourism companies and finally selected you basis the way your executives treated us with our enquiry. Keep going and expect to enjoy more holidays with you. 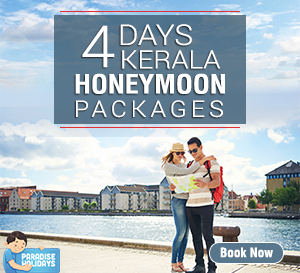 I just want to thank paradise holidays and Sreeraga, for making my Kerala Honeymoon Trip a memorable one. We enjoyed the trip to fullest. Driver Anthony was very co-operative and guided us very well & helped us a lot to see all sightseeing destinations. 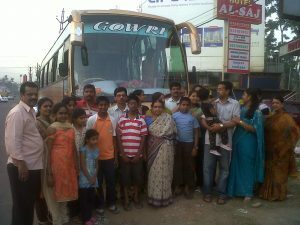 This is a nice experience has enjoyed the tour alongwith Kerala food, nature and backwaters. hope for a longer relationship with paradise holidays. Thanks once again for wonderful arrangement.